Rod Stewart fans, rejoice! You've got a chance to win a Gibson Songwriter Deluxe Studio acoustic in this amazing competition. All you have to do to be in with a chance of winning is head over to this entry page, enter your details and cross your fingers. The prize is a rather delicious Gibson Songwriter Deluxe Studio worth £1799. The competition is open until 6 January, and don't forget to check the terms and conditions before you enter. 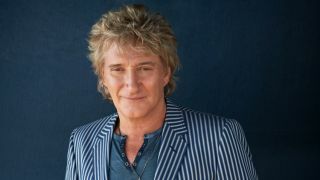 Rod Stewart's latest album Time is out now. For more information visit the official Rod Stewart website.